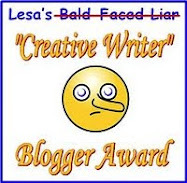 * * * * * * * * * * Welcome to Dru's Cozy Report: September 2015. This month we have two recently released and one soon to be released new series for your reading pleasure. Enjoy! 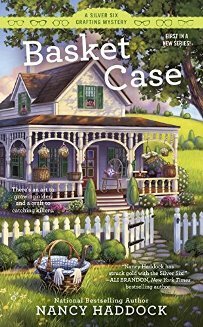 In the first in this cat-filled cozy series, aspiring mystery author Sabrina Tate is about to discover that when it comes to solving murders, her new feline friend Hitchcock is a master of sleuthing. The deceased turns out to be none other than her Aunt Rowe’s awful cousin Bobby Joe Flowers, a known cheat and womanizer who had no shortage of enemies. The only problem is that Aunt Rowe and Bobby Joe had quarreled just before the cousin turned up dead, leaving Rowe at the top of the long list of suspects. Now it’s up to Sabrina to clear her aunt’s name. Luckily for her, she’s got a new sidekick, Hitchcock the Bad Luck Cat, to help her sniff out clues and stalk a killer before Aunt Rowe winds up the victim of even more misfortune. 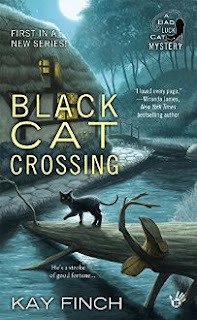 I love stories that pull me in immediately, especially with a likable cast of characters that includes an endearing aunt, an aspiring writer, a hunky game warden, the townspeople and of course a mysterious feline. This was a fun read where everyone had a role in this evenly paced drama where all interactions were pivotal to the telling of this story; a story that quickly became a page-turner. The author did a great job in setting up this mystery with a slew of suspects and teasingly providing clues with a few surprising twists that I did not see coming at all. A captivating mystery, friendly characters, and engaging dialogue rounded out this very enjoyable and delightfully entertaining debut novel and I can’t wait to see where the next book takes us with Sabrina and her friends. Bonus recipes are included. 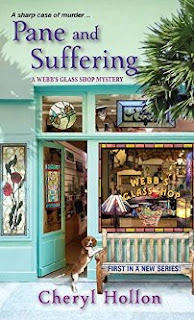 I like this fresh new entry in the cozy mystery genre. This was a fast-paced and enjoyable mystery that entertained me from the first page to the delightfully charming conclusion that left me with a smile. The author’s narrative in the telling of this finely tuned drama was spot-on placing me smack dab in the middle of all the action as everyone is suspect. The mystery of who was behind the murderous and harmful threats was well-played and it was fun following along with all the clues that Nixy and the Silver Six stumbled upon, a few with some hilarity. The dialogue was engaging and I love the camaraderie and interaction between the Silver Six, Nixy and the other residents of Lilyvale. Boasting a lovable and offbeat cast of characters and the “feel good atmosphere” of a small town, this was a terrific read and I look forward to the next book in this endearing new series. Bonus crafting tip and recipes are included. I'm tickled to be in Dru's featured books, and to be in such great company!! 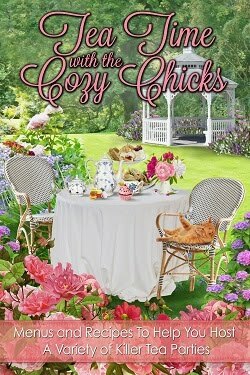 Thanks, Dru, and waves to the Cozy Chicks! LOVE your books! Looking forward to all these debuts! 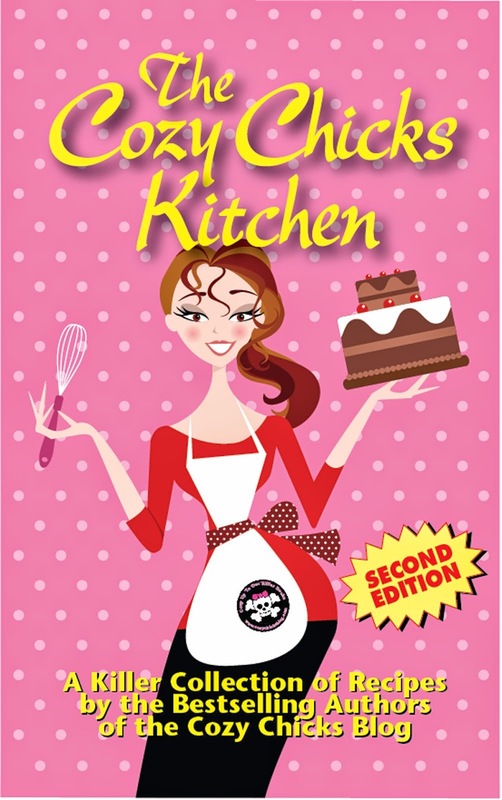 I've read the first 2 books mentioned and LOVED them - great cozies. Looking forward to reading the last reviewed book of Cheryl Hollon's. Sounds like it will also be a great read.